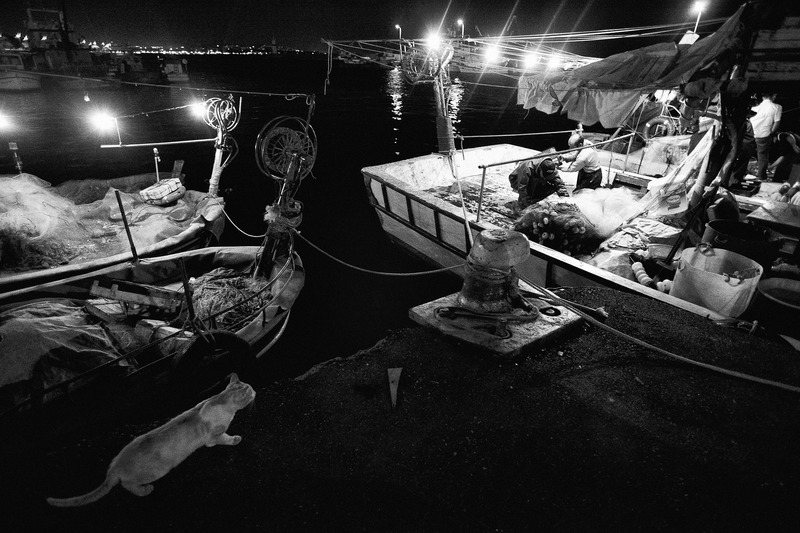 At six or seven in the morning, both boats return to the dock in Kumkapi district of Istanbul, just next to the distribution bazaar. Awaited by seagulls and an occasional cat. The bazaar is full by then.